Apart from the beautiful design, Awair’s sensors monitor the six most important factors of indoor air quality & well-being. Awair is one of the tools I will use to monitor my indoor air quality (TZOA is the other one). It has awesome design and I love the walnut timber, high quality of course and is painted without harmful VOCs. It will constantly show me the AQI inside my bedroom which is the most important room in my home. During day we are more aware about air quality but during night we aren’t, so I will be able to see if my bedroom offers me more than a bed and a regular night sleep. During sleep our bodies rebuild and our minds refresh, so do we offer them the best conditions? During day and night time I will conduct experiments with it. Measuring CO2 with and without plants, VOCs with different cleaning products plus furnitures and dust particles from mattresses and bed clothing. All of these experiments will be published here on #SeetheAir. Temperature and humidity sensors are very import inside a room for many reasons as well. First by knowing the temperature inside a room you can have optimum sleep during night time, in general is recommended slightly cool temp 65ºF/18.5ºC. Second low humidity may cause respiratory problems, itchy eyes and skin. On the other hand, high humidity will result in molds that serve as breeding ground for bacteria. Also dust mites love high humidity. The optimum humidity level is 35-45%. I live on the coast and humidity levels are so high here so I had to invest on a dehumidifier but I did a smart purchase because I bought an A/C with dehumidifier, this way I control temperature and humidity. Awair is capable of communicating with smart home appliances and turn them on/off via IFTTT. In case your home appliances aren’t smart enough you can boost them with TADO The Smart A/C Control. Finally the app is elegant and simple for the everyday use but with valuable infos. 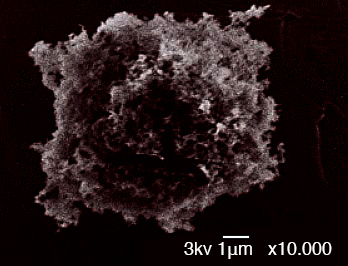 Chemically, black carbon or BC is a component of fine particulate matter PM ≤ 2.5 µm. It is formed through the incomplete combustion of fossil fuels, biofuel, and biomass. Black carbon causes human morbidity and premature mortality. Short-term and long-term exposures to PM2.5 are associated with a broad range of human health impacts, including respiratory and cardiovascular effects as well as premature death. BC stays in the atmosphere for only several days to weeks, while carbon dioxide (CO2) has an atmospheric lifetime of more than 100 years but the impact of BC is much stronger because BC interacts with clouds, warms the Earth by absorbing heat and light in the atmosphere and by reducing albedo (reflectivity) when deposited on snow and ice. How Plants Remove VOCs and Purify Air? First, harmful substances and VOCs waft from countless sources in our daily lives, including adhesives, ceiling tiles, photocopiers, wall paint, furnitures, upholstery etc. We can find the key to our answer from NASA’s experiment, they found that plants absorb airborne pollutants as part of their normal “breathing” process (CO2 carbon dioxide in, O2 oxygen out) and transport them to their roots, where microbes feed on and detoxify them. As result we need to have in mind that that roots and the soil are very important for optimum results. I will talk about this in the future. The scientists have measured the filtering capacity of specific plants by putting them into sealed chambers and releasing toxic chemicals, then measuring how much of each chemical remains at 12-hour intervals. The results have been stunning. They found that the most effective plants had a high transpiration rate and they emit more moisture into the environment. This is the result of a natural pumping action. As plants pull air down to their roots, they pump moisture out. They have also found that over time at least one plant, the lady palm, actually becomes more efficient at disposing of the gas. Is recommend using a mix of plants, two or three plants in 8-inch or 10-inch pots for every 100 square feet of floor space. Now be aware that the more plants you have more excessive humidity you will get, which can contribute to the growth of mold and bacteria. To help prevent that, don’t let your plants sit in stagnant water. Once the water has drained through the soil into the tray below, remove it. Sub-irrigation planters are a fair option but you have to discourage mold from growing on top of the soil by covering it with moss or gravel. My personal recommendation is to keep a plant on top of your work desk, on top of your night stand and next to your sofa which are your personal breathing zones. Chlorophytum comosum aka Spider Plant or airplane plant or hen-and-chickens is native to tropical and southern Africa plant but it is easy to grow as a houseplant. With lots of long leaves and tiny white flowers, the spider plant is able to eliminate formaldehyde, toluene and xylene, a solvent used in the leather, rubber and printing industries. As an added bonus, this plant is also considered a safe houseplant if you have pets in the house, (remember Snake Plant isn’t). It is also an efficient filter of carbon monoxide. An effective place to grow spider plants is near fireplaces, kitchens and offices. Likes bright, indirect light or fluorescent lighting, remember to use room temperature rain or purified water. Let the pot surface feel dry to the touch before watering. Water until water drains from the bottom and empty drained water from trays promptly. Remember to repot them in case they grow too big. Keep it between 40ºF/4.5ºC and 85ºF/29.5ºC. Aloe Vera is my second must have home plant for many reasons. First of all it is an easy to grow plant, that loves the sun and helps clear the air from formaldehyde and benzene, which can be a byproduct of chemical-based cleaners, paints and more. Aloe is a great choice for sunny kitchen windows and bedrooms. Besides its air-clearing abilities, the aloe gel inside the plant can help heal cuts, burns and other skin issues. Like Snake Plant, Aloe Vera also produces Oxygen O2 during night time. If you are planning to grow Aloe Vera indoors then it’s an easy task. Keep the pot on a sunny spot, water deeply, but sparingly (let it drain good). Aloe plants are pretty low-maintenance, since they don’t require much water. if it’s possible use rainwater. Temperature range for a happy aloe plant is between 70°F/21°C – 80°F/26°C but will survive down to 40ºF/5°C. There are so many devices out there to measure air quality nowadays and the informations are sometimes confusing about what each device is armed with or not. 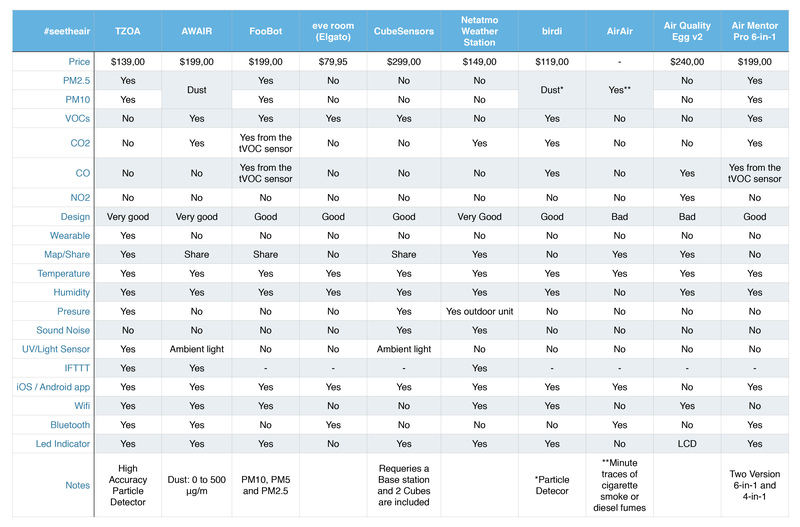 As a result here is a complete guide to choose the right device for you and your needs. Sansevieria trifasciata aka Snake Plant or Mother-In-Law Tongue is one of the best house plants that can clean indoor air but also have a secret ability that most people don’t know which is to produce Oxygen O2 during night time and this is the reason some people also call it Bedroom Plant. I have three pots of Snake Plant in my home, bedroom, kitchen and my home library. Snake Plant is capable of removing a big variety of VOCs such as Benzene, Formaldehyde, Trichloroethylene, Xylene and Toluene (lacks ammonia). It is also effective at removing nitrogen oxide. It is a good plant for the lazy owners. It can be exposed in full sun light but also does well in dim light. It does not need to be watered very often since it is part of the succulent family (It can rot from over-watering). Ideal temperatures are between 5 – 30 °C (40 – 80 °F). Remember to rotate it every month for uniform light exposure. Keep it away from pets and babies as it is rated as toxic if ingested.